This past week, DC unveiled a massive list of films they expect to release going all the way into 2022. It had everything from the Flash getting his own movie to the Justice League. DC is desperately playing catch up against Marvel and it's universe and time will tell if DC can pull it off. (Personally, I'm not betting money on it). 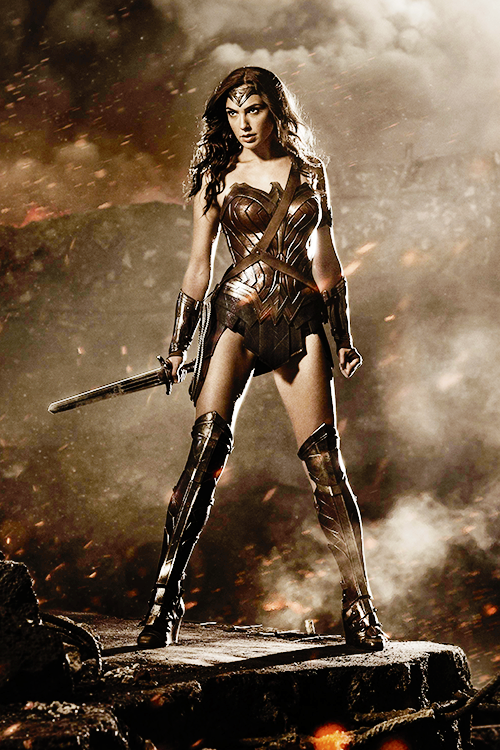 The biggest shock was the addition of a Wonder Woman movie, slated to come out in 2017. FINALLY! Finally someone heard our pleas and is bringing Diana to the big screen. Now, who knows if it will be any good or not, the important thing is that a female super hero movie is finally on the docket. It's official. It's going to happen. That's completely awesome. It's also shocking that DC beat Marvel to that milestone. Marvel, as wonderful as it is, doubled down and said they still have no plans for a Black Widow film or any other female super heroes. What? In this superhero movie arms race, DC just won a major battle. Shots fired. It's disappointing that DC got there first and it's really frustrating that Marvel isn't responding in kind. Female superhero films still seem to be a complete pipe dream. It's so shocking because Marvel currently has a more cohesive universe than DC does. A Black Widow film could be incredible and everyone is clamoring to see Ms Marvel get her time in the spotlight. Why the hesitation? Now more than ever, female super heroes are moving comic book units. The revamped (and awesome!) Ms Marvel has been hailed as a fantastic turning point in comics and sells very well. Batwoman and Batgirl (that costume!) are both making waves. There are more women in super hero comic books than ever and yet that isn't being reflected on the big (or small!) screen. So what gives? Why the disconnect? Studios claim they're wary of female super hero stories because they've been burned in the past by shows and films that flopped. Elektra and Birds of Prey both come to mind. This is, again, one of those double standards for women in film. A lot of male super hero movies flopped and yet they still kept making superhero movies. Green Lantern was abysmal but that didn't stop DC from going forward with Superman. The second a superhero movie led by a woman fails, the studios shrug and trot out that tired old "women stuff just doesn't sell" trope. Damned if you do, damned if you don't. I'm glad Wonder Woman is going to get her time on screen and I hope it's a massive success... because if it's not, it might be many, many years until we see another female superhero movie again. Oh, I really want this to be good. I'm sure Wonder Woman will be one of the highlights...it's absolutely everything and everyone else I'm worried about.